Shillong Peak is the highest point in the state it stands at about 1900 mts. above sea level and is 10 KMs from the Shillong city. 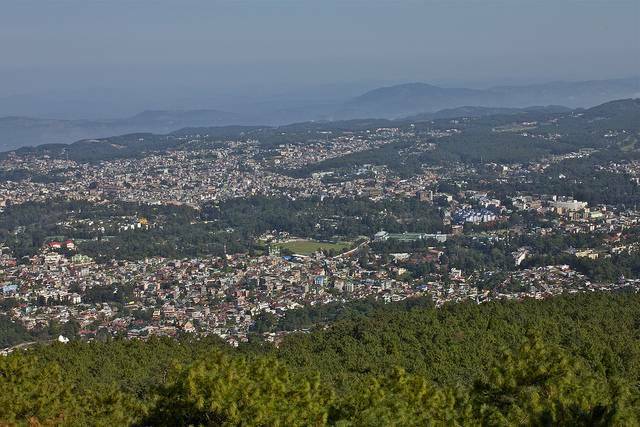 Shillong Peak is a favorite among visitors to the city for a stunning bird's eye view of the city. On clear days it offers a panoramic view of the city below and also majestic Himalayan peaks. On cloudy days, the pine forests around is shrouded with an air full of mist and is equally enthralling.